Students investigate some of the most notable Roman emperors, such as Augustus, Nero, Trajan, Hadrian, and Marcus Aurelius. Then, they explore great Roman individuals in other fields, such as Ptolemy in science, St. Augustine in religion, and Virgil in literature. They wrap up their study of great Romans by reading and responding to quotations from Marcus Aurelius‚Äôs classic of practical philosophy, Meditations. 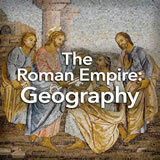 In this experience, students investigate some of the most notable Roman emperors, such as Augustus, Nero, Trajan, Hadrian, and Marcus Aurelius. Then, they explore great Roman individuals in other fields, such as Ptolemy in science, St. Augustine in religion, and Virgil in literature. They wrap up their study of great Romans by reading and responding to quotations from Marcus Aurelius’s classic of practical philosophy, Meditations. 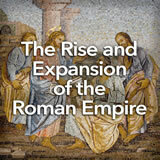 Some of the content in this experience overlaps coverage of some of the key emperors in the experience The Rise and Expansion of the Roman Empire. Names of ancient Roman individuals are remembered today as symbols of achievement and excellence—or of villainy—in fields ranging from government to literature to science to religion. In this experience, you will survey many of these great people and their accomplishments. 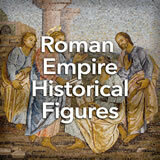 If you imagine that the ancient Romans were always noble, honorable, and good at ruling an empire, think again. 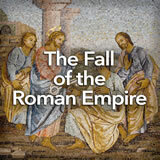 To learn about a Roman emperor who was the total opposite, watch Nero. Tell students that the narrator of the video speaks rapidly, so if they miss some details, they may watch a second time. Appropriate cloud words for Nero include insane, evil, and their synonyms. Point out how popular those descriptors are in your class’s responses. 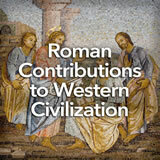 Spend a few minutes discussing the astounding evil acts of Nero. Does this surprise students? The Student Pack includes a video on the assassination of Caligula, which includes another dramatic story.